Posted by Teresa Mihelic HelpDesk on Wednesday, September 26th, 2012 at 10:53am. There's two large events going on this weekend in Dana Point, and here's your reminder, don't miss them as they have many activities for the entire family! Dana Point BBQ: The city of Dana Point is ready to host the 2nd Annual Dana Point BBQ Championship which will bring world class barbeque chefs from all over the country, and as part of the event, the public can sample various BBQ meats prepared by the competitors in the People's Choice Tasting. Where? : Sea Terrace Park in Monarch Beach of Dana Point. Parking? : Salt Creek Beach Parking Lot, Strands Vista Park, Stonehill Road and Dana Hills High School, with a free shuttle running from Strands Vista and Dana High to the BBQ Championship. Ready to move to Dana Point? 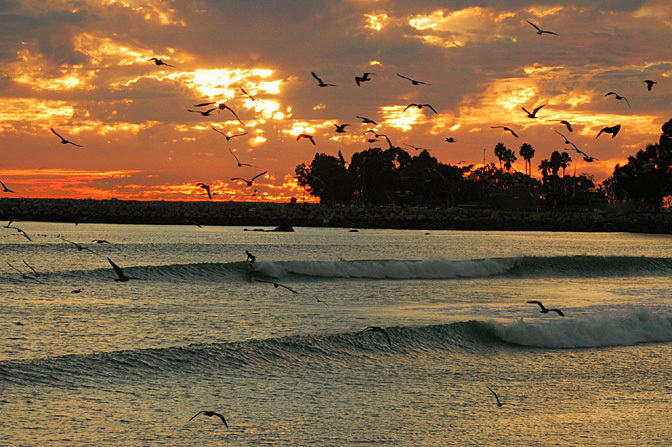 Look for the many homes listed for sale at Dana Point Real Estate. The area where the park hosting the event is Monarch Beach - be sure to check out what's available for sale there too. Battle of the Paddle California: This is a great and very unique event returning to Doheny State Beach in Dana Point. The Rainbow Sandals Gerry Lopez Battle of the Paddle is a California classic event, where the main focus is the stand-up paddle (SUP), with races and demonstrations of the sport, for all ages and skill levels. From beginners of all ages, family relays or group relays, and elite competitions, the event sure will have something for everyone! SUP is the fastest growing water sport in the world, and there will be also many vendors and kid friendly activities! Dana Point has always something really cool going in the city. Are you ready to move to Dana Point and enjoy all of these events and the Ocean Breezes and Views that only a coastal town can bring? Let us know and we will help you find the home of your dream!